Overall Dimensions: 126"(L) x 36"(W) x 53"(H); Weight Capacity: 441 lbs. 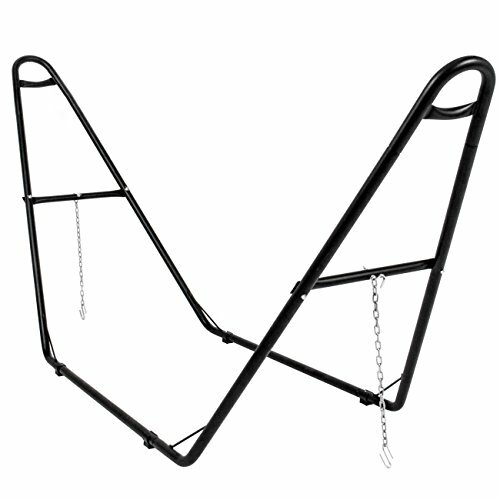 This versatile stand has an adjustable design that fits all hammock types ranging from 9.5 to 14 feet long. It’s made to be used indoors or outdoors with a rust-resistant finish. Included are two 22-inch chains for easy adjustment between sizes. Designed to be sturdy and balanced, this stand stays secure so you can focus on relaxing.